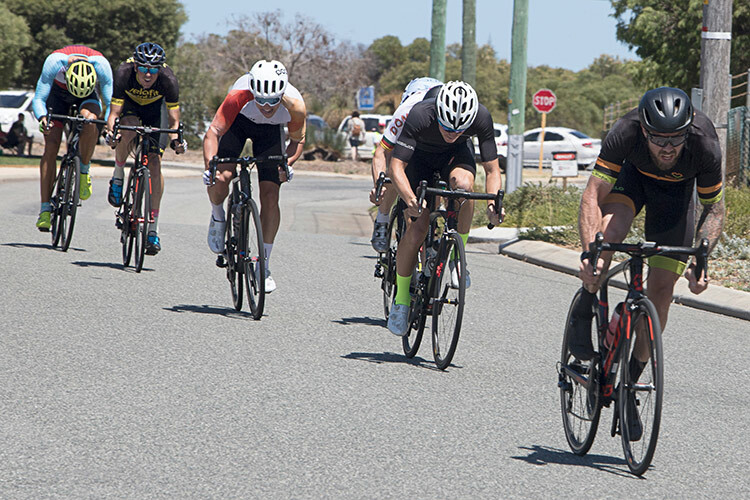 Peel District Cycling Club first race of the year was at the Alumina Way criterium circuit in Rockingham last Sunday. With only rider in E grade, Simon Stolton, his challenge was to try and hold on to D grade for 25 minutes and one lap, E grade race length. With a couple of early attacks that had D grade strung out in a long line. Stolton demonstrated he was ready for D grade, by holding on to D grade pack for their full race distance of 30 minutes and a lap, beating a couple of D grade regulars to the line. At the front of D grade Finely Vine got clear on the back straight and held on to take the win with Nicole Malloy second and Clint Hort third. C grade saw attack after attack, as riders attempted to get away. These breaks did not even last a lap, as there was always riders willing to chase. With many riders wanting to attack, the race was a frantic affair, with constant attacking, chasing and counter attacking. In the end an attack on the back straight saw Ashton Sime and Nick Finch round the final corner 30 metres clear of the bunch. In the run to the line it was Sime taking the win, with Finch second and Zac Andrijasevich outsprinting the bunch for third. The juniors then took to the course for one or two laps of the almost two kilometre circuit. Special mention goes to 5 year old Tadhg Harmer for racing two laps of the course in just over twelve minutes at an average of 18 kilometres an hour. 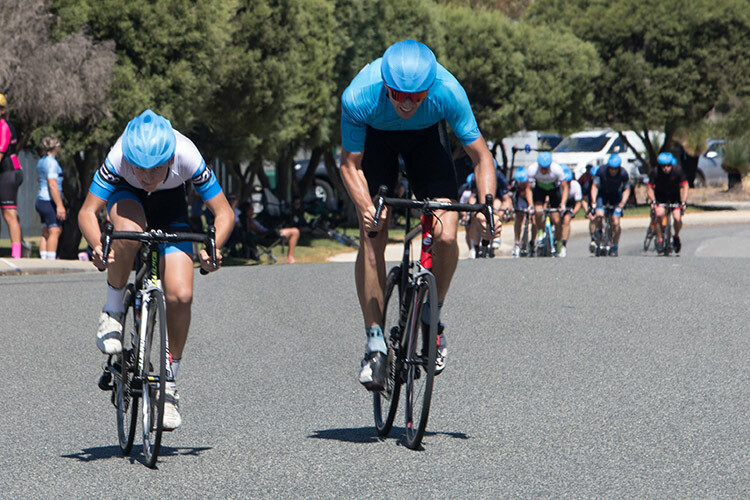 B grade was another frantic race, which saw riders attack, get away for a few laps, before a few riders working together to brought them back, before a counter attack saw another couple of riders to get away. Then about halfway through the race time trial specialist Steve Knight and endurance specialist Callum Henderson were off the front. The bunch could not catch them, but kept the pair insight for almost twenty minutes, then with two laps remaining the bunch sat up, more worried about third place. As Knight and Henderson rode away, with Knight winning the two up sprint by a bike length from Henderson. Matt De Lilly took the bunch sprint for third. With most of the top A graders racing in the National Championships, the expectation was a quiet race from a smaller bunch. Instead, the exact opposite happened, Raphael Amouroux attacked early and was joined by.Patrick Sacanni-Williams The pack chased hard, losing over half it’s number in pursuit of the leading pair. After 20 minutes the breakaway was caught and the counter attacks started. The fast start and hard chasing, meant nobody had the energy to stay off the front for long. However, these attacks and chase efforts were causing damage as more riders got dropped. There was still half a dozen riders left on the final lap, as Matt King attacked going into the final corner, carried enough speed through the corner and held on to take the win from Wade Longworth second and Cadel Adams third.